Email delivery is important, even if it’s something that happens behind the scenes. 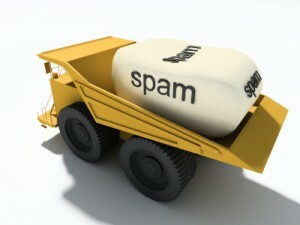 Most of us have heard stories of what spam filters look for, the word F*R*E*E, too many bad links or messy HTML code. And while those things could send an email to the spam folder, the latest thing that ESPs are looking for is content engagement. It’s not just about how you say something, it’s what you say and how your readers interact with it. Today, we’ve got some helpful tips to get your email in the inbox. Read on! Your list – It’s more important than ever to have good list practices. Use a double opt-in form for sign-ups and then select who you want to mail. Create lists based on interest in your products or services, folks who open your email, folks who click your email or non-responders, and send info specifically of interest to them. You don’t have to send to your entire list every time. By targeting portions of it you can be more productive. Content, content, content – You’ve heard it before, content is king, and email delivery is one of the many reasons it is. Send content your readers like and are interested in, and the info you promised at sign up. Also, keep an eye on your stats. Watch your open and click through rates, track what articles, stories or products are clicked on most so you know what connects with your readers. Keep following the rules – Spam filters are evolving but you still need to follow CAN-SPAM rules like having a clear From Label and Subject line, an unsubscribe method and a valid postal address. And you still need to have clean HTML, links that go to good web pages and avoid spammy words and phrases. Email delivery can seem like a mystery, but with just a few tweaks and great content you’ll be in like Flynn.